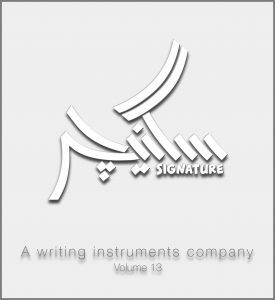 Aftab Sons Writing Instruments industries enjoys a unique distribution network in more than 300 cities and towns of Pakistan. Matte grip has been especially designed, in order to give you satisfaction of a non-sticky and non-slippery grip. Smooth ink innovation gives you an unforgettable writing experience with Signature Ball pens. Siganature metalicPen was introduced in five colors to give a strong and fashionable look; “U” shaped Matte Grip was introduced for the first time in Pakistan. Attractive transparent signature_orangebarrel with visible flowing ink gives bold & smooth writing. “HALKA NEELA HAI SAARA JAHAN” this phrase helped in developing a concept of Siganture BluCrystal pen, which has been introduced with needle tip for detailed smooth writing. Signature Star&Signature BSS are best choice for an affordable and reliable ball point pen. Create brilliant work of art and headings with 12 bright colors of Signature Artist sketch marker. The use of fine liner is increasing in the offices and by the youth. In 12 bright colors with 0.4mm line width and also 4 basic colors with 0.30 mm line width are being marketed country wide. The true fine liner with metal framed plastic tip is a choice for all age groups. Signature Spotliteris master choice for highlighting. Sleek body with pocket friendly design has been introduced. FLIT BALL technology for velvety smooth writing. Permanent & White board markers are under R&D.